This is to inform all the prospective ND full-time students of the Yaba College of Technology (YABATECH) that the authorities of the polytechnic have released the 2017/2018 merit admission list. All the candidates that participated in the YABATECH 2017/2018 post UTME screening exercise can now check their admission status by following the steps outlined below. 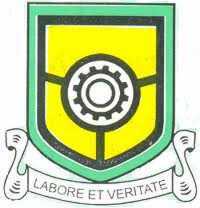 Go to YABATECH admission status checking portal at http://www.yabatech.edu.ng/appresults/admissionChecker.cshtml. Select your department from the drop down.